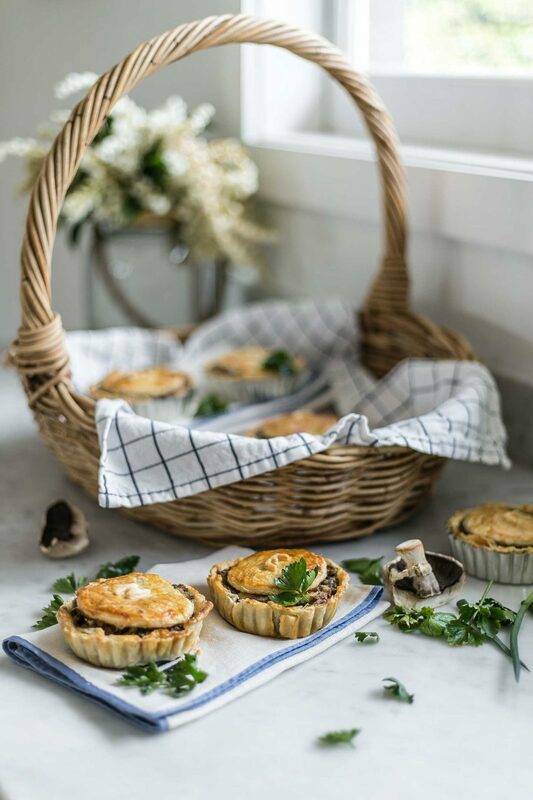 I’m always looking for yummy and nutritious recipes that can make use of leftovers, and these delicious Chicken and Vegetable Pies are the result of some left over roast chook and a handful of veggies floating around in the fridge and some greens from the garden. I made these at short notice when a friend invited me over for a catch up one morning and I said I’ll whip up something yummy for lunch. Of course you don’t need to monogram your guests’ initial on each pie, but it was a personalised, homemade touch that the kids particularly loved! 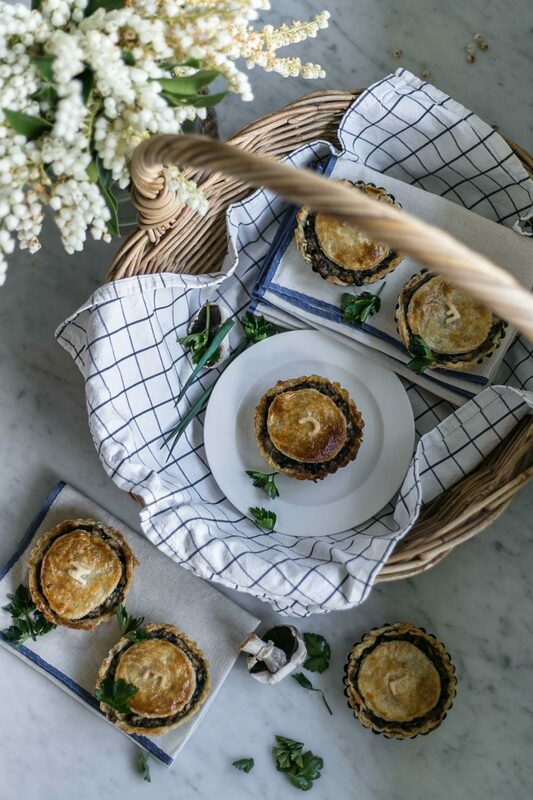 I find that as long as you have some protein (chicken, fish, beef, lamb, turkey or pork), and a few vegetables to bulk it up, then you can make almost any variation of these pies – as many as your imagination will allow, pretty much! I used tart molds but pie ramekins or even a muffin tray will also work well. Just remember to grease them first so the pies come out easily once cooked. Preheat oven to 200c. Heat oil and butter in a large pan. Add the onions and saute for 1-2 minutes until soft, then add the mushrooms for 3-5 mins until mushrooms have some colour. Add the carrots, kale and baby corn, stirring, for 5 minutes until carrots are tender. Sift over the flour and stir through well, then cook for 1-2 mins. Gradually add chicken stock, stirring, and then reduce heat to low and cook for 2-3 mins or until mixture thickens. Return chicken to the pan, along with the grated cheese (and the cream if you want a creamy filling) then season with salt and pepper and cook for a further 2-3 minutes. Remove from heat and set aside to cool. 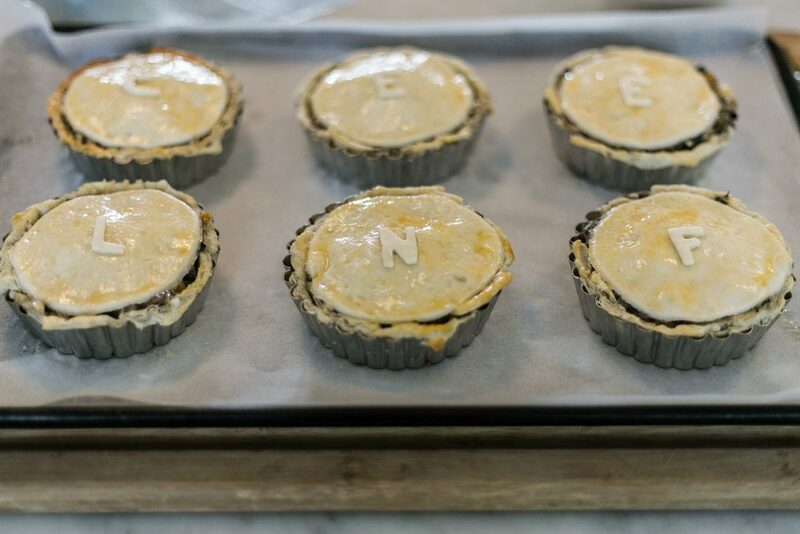 Cut out pastry circles for the base of your pies, making them a few cm’s larger than your ramekin or molds, so the pastry can fill up the sides. 1 pastry sheet makes approx 4 pies. Grease the base and sides of your pie molds with butter or oil, then gently press in your pastry. 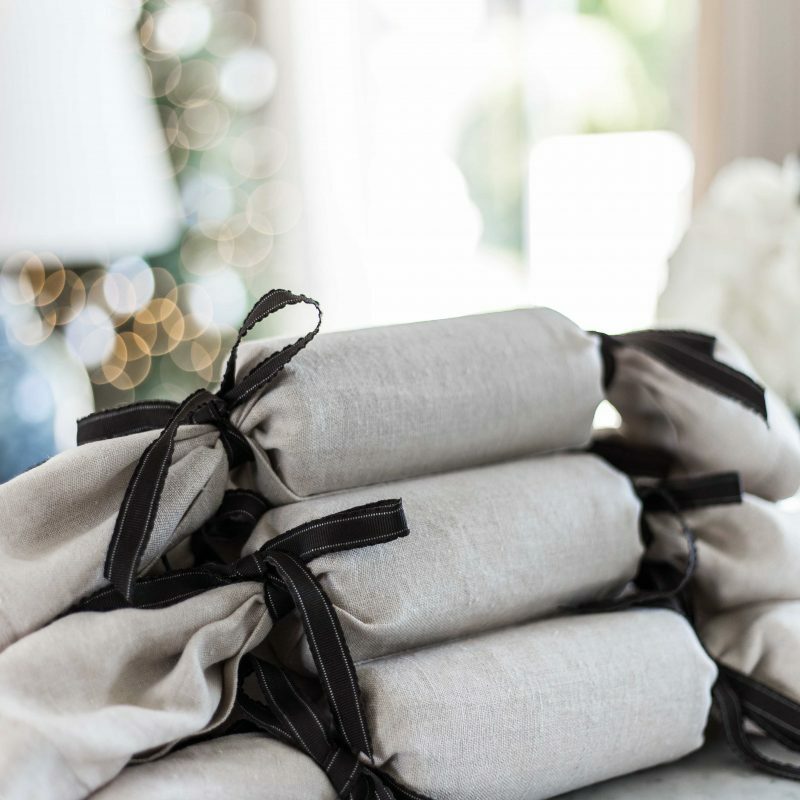 Place a small sheet of baking paper over the pastry and fill with pie weights (or rice) and blind bake the pastry in the oven for about 20-25 minutes. While pastry is cooking, cut puff pastry circles for the tops of your pies (they don’t have to cover the top completely if you don’t want. I love seeing the filling bubble over the edges! ), and for an added touch, some monogrammed pastry letters, or a simple leaf or star looks great too. Remove pastry from the oven, discarding baking paper and weights, fill your pie case with the pie filling and place the pastry top on. Lightly spray tops with oil or brush with butter, then bake for about 25-30 minutes until the pastry is golden and flaky. Serve with a light salad and enjoy! 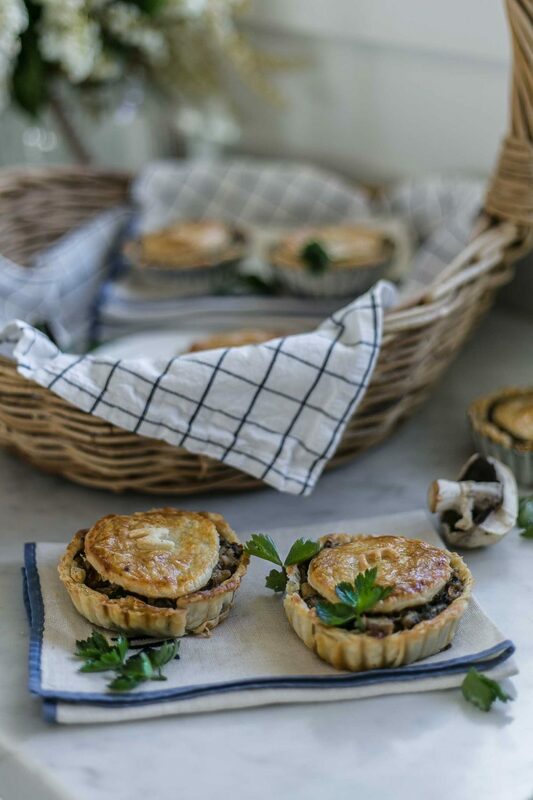 Tips: these pies are a great way of using up leftover meats, fish and vegetables you have in the fridge, and you can almost add any vegetables and greens to it. Leeks, mushroom, spinach, kale, carrots, peas, corn, cauliflower, broccoli, potatoes, sweet potatoes, pumpkin, celeriac, parsnip, zucchinni…. you name it! You can also try adding in some spices if you’re game – I pretty much add 1/4-1/2 tsps of turmeric and paprika to everything savoury these days. Let me know what you do with your leftovers and if you have any great recipes to share that use up leftovers!